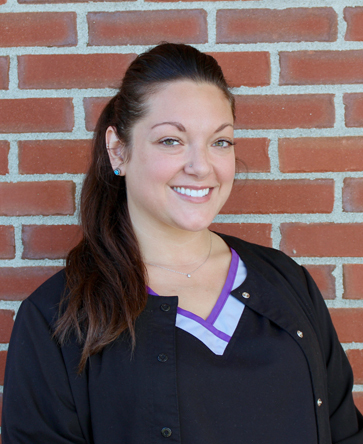 Eastpoint Dental | Dentist | Heather C.
Heather may be new to the team, but she is not new to dentistry. With 9 years experience, she is trained and certified in the latest dental procedures to better assist dentist and patient needs. Even so, Heather is always trying to continue her education and frequently takes CE courses to stay up to date with the new techniques in dentistry. Her most recent license was awarded in 2015 from Eastern Gateway Community College, in which she received her Expanded Functions Dental Auxiliary License. Heather currently lives in Pataskala but grew up in Reynoldsburg. She loves the east-side community and is so happy to share her love for dentistry with her own community, the caring dentists, and staff. The always evolving world of dentistry excites her, and she looks forward to sharing her passion and knowledge with you and your family! When Heather is not helping patients smile, she is spending time with her son, Vincent, boyfriend Aaron, family and friends. You can often find her traveling to new places, going to concerts, sporting events, car shows, or simply enjoying the outdoors with her three fur babies: Butch, Alphonso, and Tinkerbell.